This article originally appeared in the June issue of Fort Wayne Real Producers. The empty campus looms large over downtown Fort Wayne, even without the iconic General Electric sign. It is impossible to be a local resident and not know or hear about the proposed redevelopment of this historic landmark. 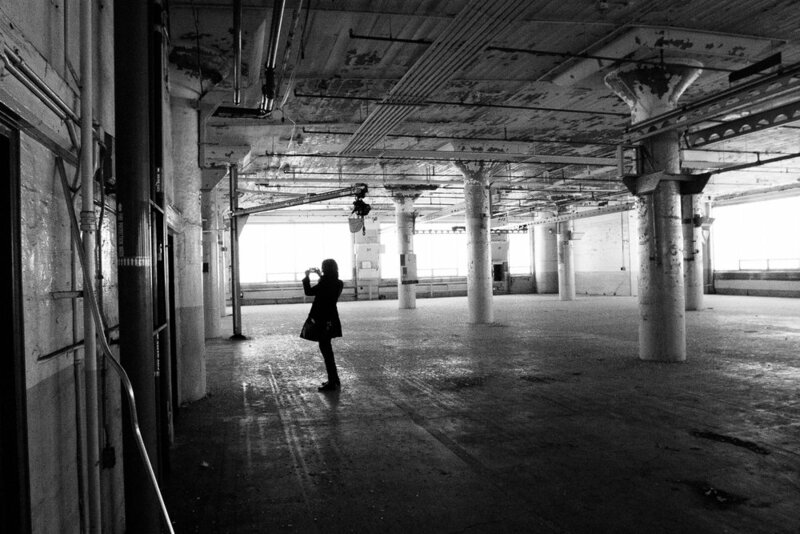 Coverage has even piqued national interest, with stories in The Huffington Post ("An Abandoned Factory In Fort Wayne Will Give You Both Nostalgia And The Spooks"), and The Wall Street Journal ("Today: An Abandoned GE Factory. Tomorrow: Hip Lofts"). Local interest remains at an almost fever pitch, with signs popping up all over the historic West Central neighborhood in proud support of Electric Works and asking Mayor Tom Henry and City Council members to get behind the project. Earlier this spring, Greater Fort Wayne Inc. had a unanimous vote to commit $200,000 for a campaign to promote the Electric Works project, with a goal to “inform, convene and engage the community about this once-in-a-lifetime opportunity,” according to a statement from board Chairman Andrew Thomas. This comes after the project’s developer, RTM Ventures requested $65 million in local funding — without which, the project is at risk. With the first phase of the redevelopment expected to cost about $220 million, and funds still needed to move forward, there is still a lot of uncertainty surrounding the redevelopment. The fate of Electric Works is in the hands of the governing bodies, with votes yet to be made and budgets met. Although Henry is committed to the Electric Works project, he admits that the city is developing a “Plan B” — just in case. In the meantime, Greater Fort Wayne Inc. is doing everything it can to help things move forward. We took several tours with Greater Fort Wayne’s Director of Special Projects Dave Sholl and interviewed him to get the latest on the situation. “We at Greater Fort Wayne, and the developers are very optimistic. Obviously there’s a lot of work to be done yet, several votes to take place, because the package involves multiple voting bodies. So it’s going to take a lot of effort and information dissemination, and lot of public input, a lot of work to get this thing across the finish line, but we’re all confident that it’s going to happen. The public, we feel, is very much behind this — there’s always naysayers, you’ll have that in anything — but we think the majority of the public is excited about this. To put this in perspective, the public put $65 million into the Harrison Square Project — what is now Parkview field and everything associated with that — and that was total risk, because no one knew if it would succeed or fail. It’s become a huge success, even though a fair amount of the public was opposed to it when Mayor Graham Richard proposed the project. Now, the majority of the people absolutely love what it has done for downtown Fort Wayne, and you’d be hard pressed to find someone who doesn’t enjoy going to a baseball game. 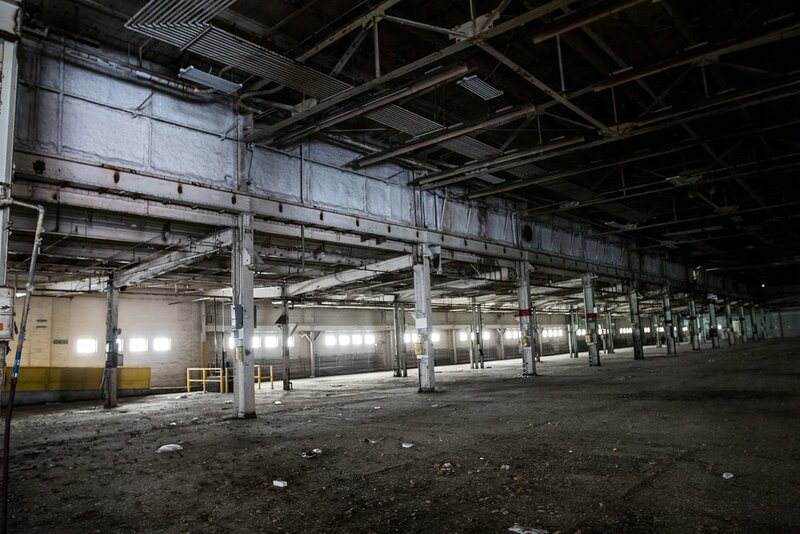 So far, commitment to space inside of Electric Works has been very popular among many groups with potential tenants covering 114,200 square feet of space. Among those, Fort Wayne Community Schools has already signed a letter of intent for a planned STEM school on the campus, as well as the Fort Wayne Public Market. Getting behind this project appears to be a no brainer, especially when considering the extended economic impact. Novogradac & Co. certified public accountants estimated that the first phase of the project would generate at least $100 million in local tax revenues over the next 20 years, making the initial $65 million public investment a good return. Electric Works Quick View via Greater Fort Wayne Inc.
Electric Works will breathe new life into the surrounding neighborhood, with the planned food hall and medical facilities relieving acute shortages in healthy food options and healthcare providers. Today, the 39.3-acre campus only generates about $120,000 in local taxes annually. 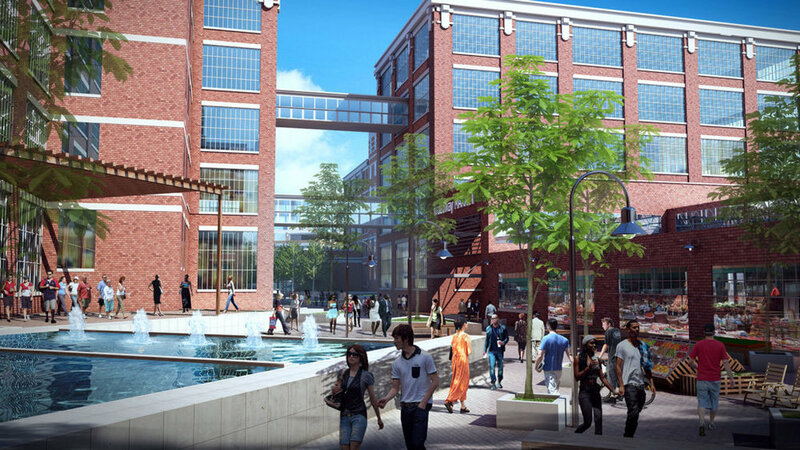 The redeveloped Electric Works will substantially grow the tax base in Fort Wayne. Electric Works and its unique Class-A office space will give Fort Wayne a competitive advantage over peer cities in the battle for jobs, wages, and talent. What can you do to help this project move forward? Take a tour! Sign up with Dave to view the campus, and see for yourself the massive and awe inspiring 1.2 million square feet of space that could soon provide over 1,500-plus permanent high-wage jobs and an estimated $387 million in annual economic impact. 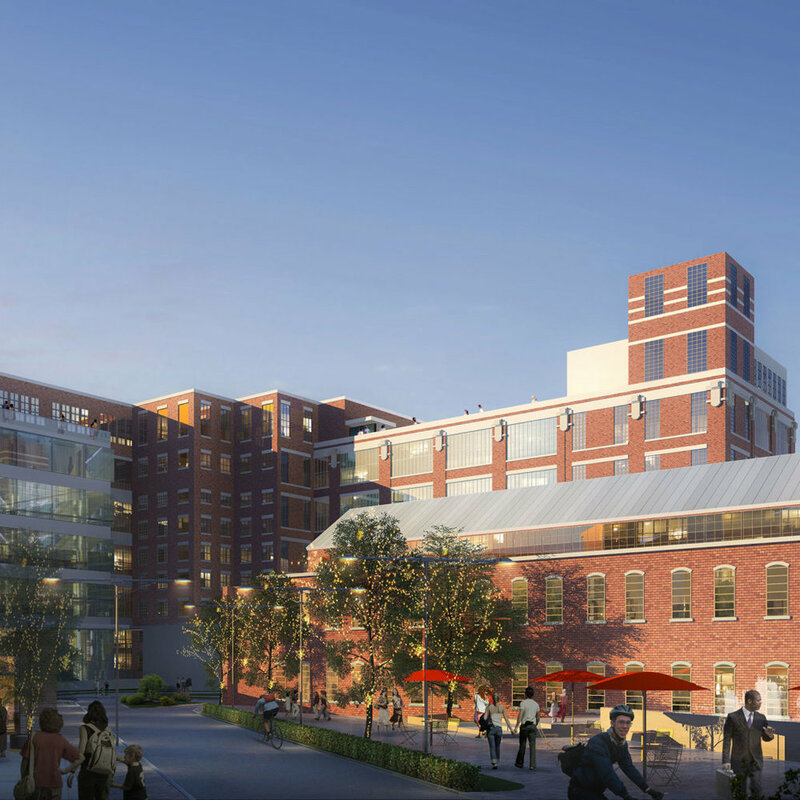 From residential to commercial applications, this mixed-use innovation district called Electric Works is poised to truly transform an empty shell into a thriving downtown landmark. Tours can be arranged by going to the Electric Works website. Contact elected officials. Voice your support for Electric Works either via phone calls, email, or by attending public meetings — your participation is crucial! Encourage your network and colleagues to voice their support as well.